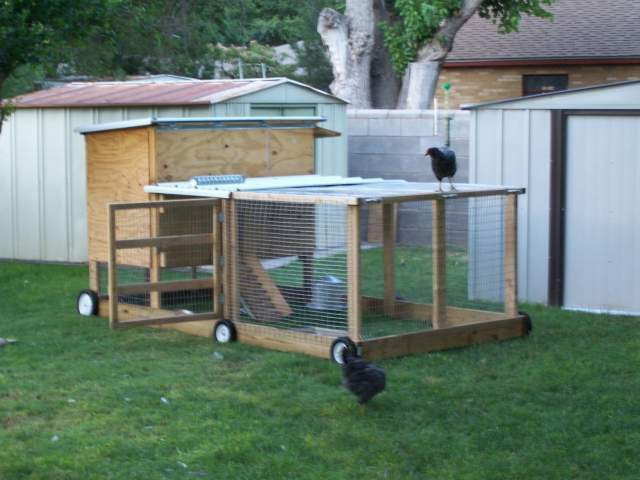 I built a chicken tractor and I thought that other readers might gain some ideas and motivation to build their own if they could see mine. Looks like a decent tractor but the article would have been more complete if information on how it was built had been included. 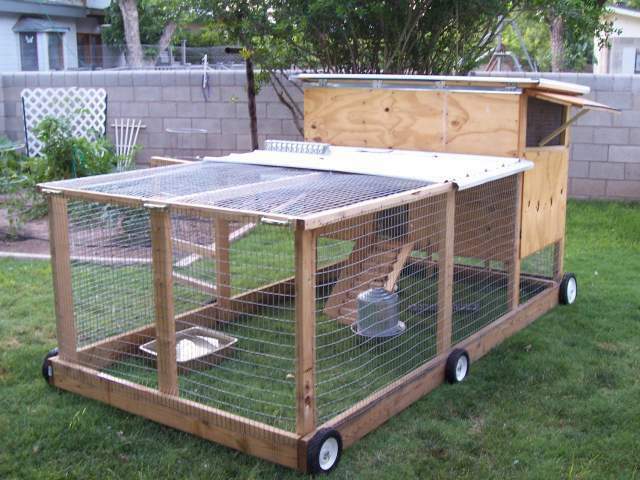 Based on comments on this article many people would love to see the details that went into building this chicken tractor. Unfortunately, there are only pictures. Were any plans ever posted?? 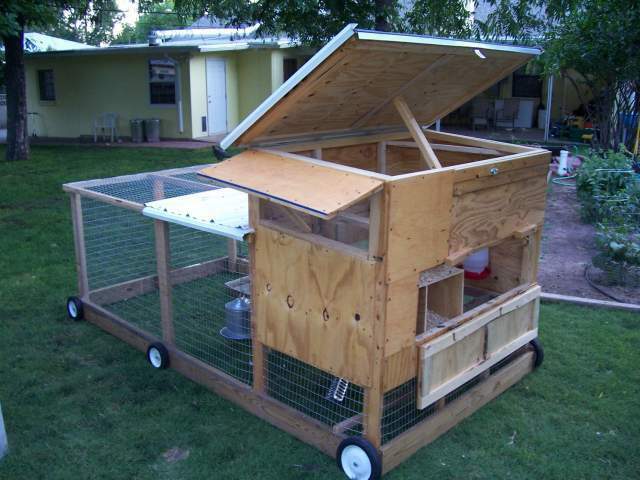 I REALLY would like to build this!! How is it when turning? 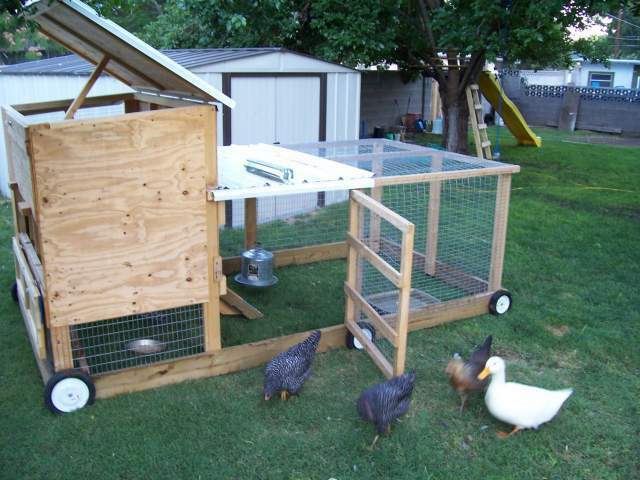 i have one that is just a yard, no coop, but it is awkward to turn. Do you move this manually? 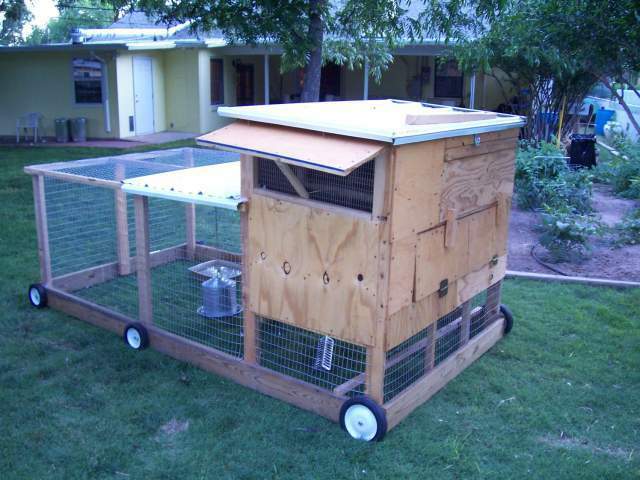 I was thinking of putting a hitch on to allow me to tow the coop with my lawn tractor. Can you tell me a ballpark figure of the cost to build this? Can I have plans, please? I love it! Yes dimensions and plans would help a lot!? I might try and build off of the pictures but i would make the wheels a touch larger or set them up where they are taller. 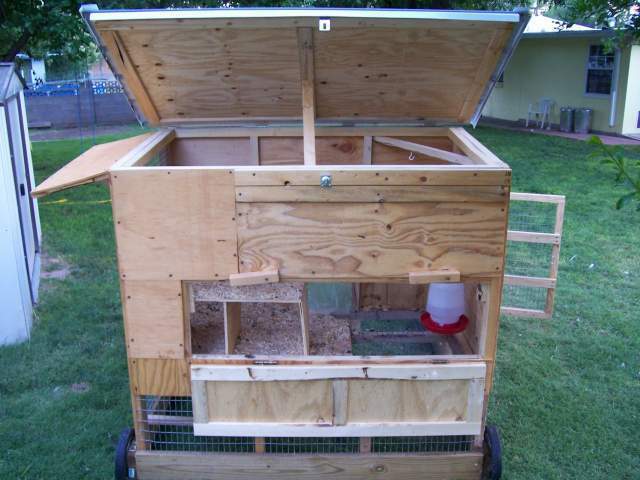 What are the dimensions on the coop area and run? Nice design, I would love to see your materials list and plans if you feel like posting them. Thanks. LOVE your coop!! Do you happen to have plans? It would REALLY help out if you do, I REALLY need to get a coop made!! Thanks! With that many wheels it looks more like a Chicken Train than a tractor. I must compliment you on the access and ventilation. But the staircase, WOW!